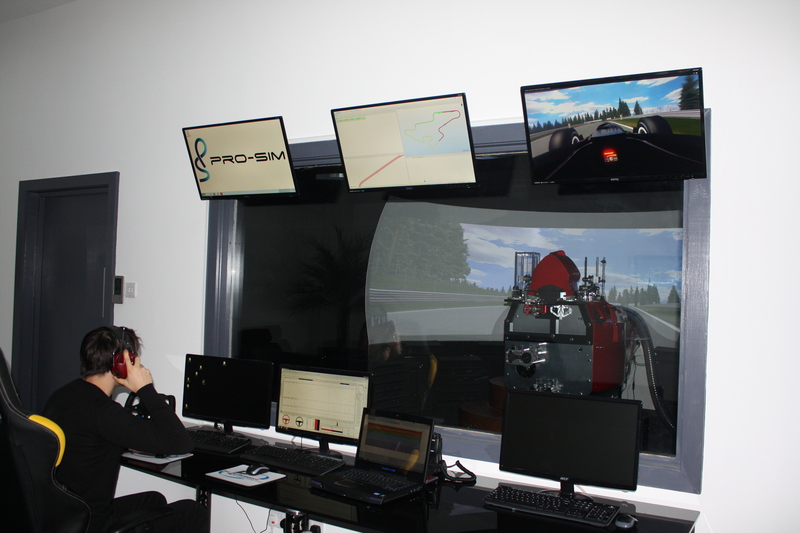 When you use our simulator you will benefit from Adrian Quaife-Hobbs on hand as the driver coach during your sessions included in the price. Adrian is well established in the motorsport world and has been racing for over 10 years now at the highest levels. Adrian has driven nearly every single seater from his first step in formula BMW all the way to Formula 1 and he currently races in GP2. Adrian has also driven a variety of closed roof cars including his first step in motorsport where he won the T-Cars championship when he was just 14. Although that was the last tin top car Adrian raced competitively he has still coached drivers in these cars and driven them on test days. All of this allows us at Pro-Sim to offer you full package with our state of the art simulator and Adrian on hand to identify and help you improve. We also benefit from having live telemetry, live video feed and sector times so that we can see instantly if you are improving or where you can improve against our benchmark data. All of our benchmark data will be produced in house so there is no worry that your data will be shred after the session. As we are seeing the telemetry in real time it is very easy for us to let you know where you need to find time and how, whilst you are still driving via our pit to car radio, this will maximize your time on the simulator. After your run on the simulator we can analyse the data with you and the recording of your run and give you our advice on where you can improve. With the video and data it is very easy to see how you can improve and also how much you have improved during your session.